Police say that they discovered that one of the eleven cellphones seized at the school with the killers belongs to the third suspect. 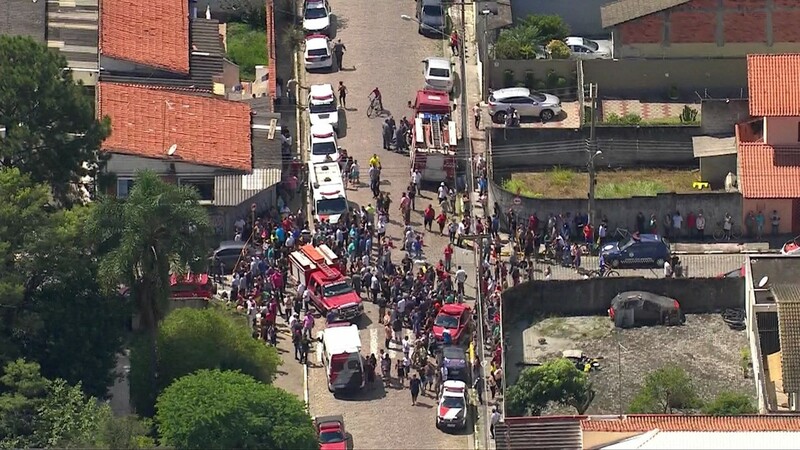 RIO DE JANEIRO, BRAZIL – Police in Suzano, São Paulo arrested a third student on Tuesday, suspected of taking part in the attack last week that left five students, a businessman and two school employees dead, said police. The student, a minor, is said to have planned the attack with the two other former students who later committed suicide. Two masked teenagers opened fire in a school in Suzano, Brazil, killing seven before committing suicide, photo internet reproduction. According to police the 17-year-old in custody helped Guilherme Taucci Monteiro, 17, and Luiz Henrique de Castro, 25, in the weeks before the attack. The teenager was Monteiro’s classmate last year, before the assassin abandoned school. During the investigation, police say that they discovered that one of the eleven cellphones seized at the school and believed to belong to Monteiro, in fact, belongs to the third suspect. According to police, the device has clear conversations about planning the killings. The owner of a parking lot in Suzano, where the killers kept a rented automobile for days, also told police he saw the third boy there. Three students injured during the attack remain in the hospital, one continues in serious condition. Students were attacked with gunshots and machetes. The school, which has over one thousand students in sixth through twelfth grade, was re-opened for faculty and employees on Monday. School officials say it is still too early to determine when classes will resume. Authorities say they will provide psychologists and social workers to help both adults and children during the next few weeks. The attack in Suzano has revived the discussion about gun restrictions in the country. In January, President Jair Bolsonaro issued an executive decree loosening gun ownership requirements in the country.